Houston epitomizes the Texas way of life. With a super-sized cityscape that celebrates cowboy culture, Latin American history, the performing arts, and Texas-sized appetites, Houston is clearly both big and bold. Dine on slow-cooked barbecue and savory Tex Mex cuisine between museum hopping, theater performances, and more. Among all the hustle, bustle, and sprawling neighborhoods, Houston stays true to its historic nickname, The Big Heart. Vacations in Houston are always brimming with easygoing hospitality and Southern charm. Book Houston package deals and see the galaxy from the Space Center, or find a cozy coffee shop downtown and watch the city whirl by. 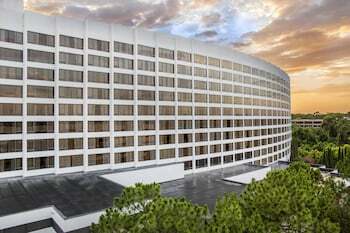 Hilton Americas – Houston: Whether you’re flying in for a business conference at George R. Brown Convention Center or a spa getaway seasoned with Southwestern barbecue sauce, this Hilton hotel is a fabulous option. Stay within walking distance to all of downtown’s most popular attractions and pamper yourself with facials and massages at the full-service spa. 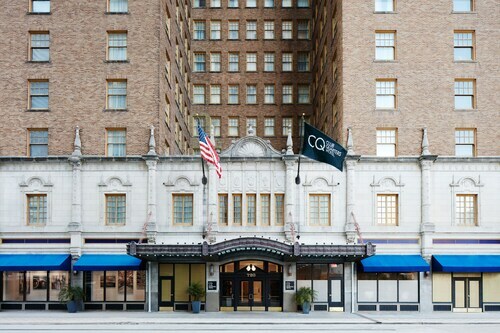 Magnolia Hotel Houston: Located on the north side of downtown, this vintage hotel is a stunner. From guest rooms to suites with fully equipped kitchens, the Magnolia will make you feel right at home. 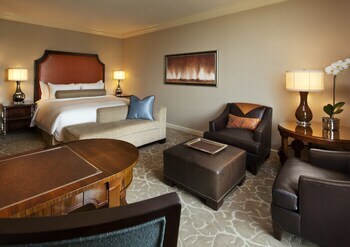 Like Houston, each room is presented with a seamless mix of nostalgic and contemporary décor. Whip up your own take on Tex Mex tacos in your vacation kitchen, dine at the hotel restaurant, or order up room service. Hyatt Regency Houston: This elegant Hyatt Regency captures the dynamism of its Central Business District location with unique contemporary design, a business center, and meeting room options. Don’t let all work and no play turn your Houston visit dull, though. Enjoy a drink by the poolside bar and abscond for some sightseeing and a performance at Theater Under the Stars. 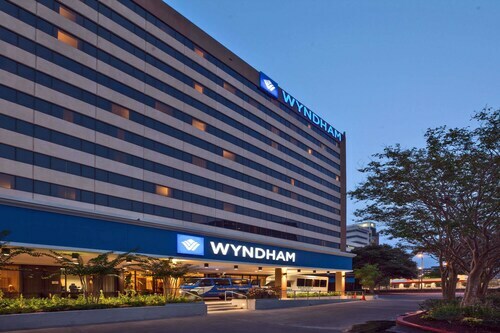 Wyndham Houston - Medical Center Hotel and Suites: If we could describe this Wyndham hotel in a word, it would have to be “chic.” Simple and sophisticated rooms are the perfect home base for your whirlwind adventures at the nearby Houston Zoo and Houston Maritime Museum. When you’re in for the night—or morning—order in room service and stay connected with complimentary wireless internet. Yes, you’re thinking, Houston’s a grand, sprawling place. But did you know it’s a city of unique neighborhoods and districts that delight travelers and locals alike? As you plan your Houston vacations, stay near your favorite landmarks, but don’t stop there—explore Space City. The aptly named Museum District is just one of the city’s cultural hubs and home to the nationally recognized Children's Museum of Houston as well as the Houston Museum of Natural Science, which houses an IMAX Theater, planetarium, and butterfly center. 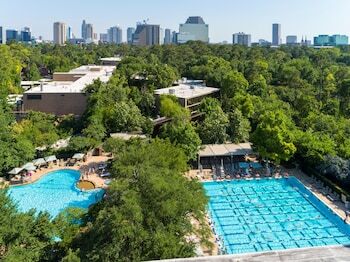 Mix up museum hopping with visits to the tennis courts, pool, and winter ice rink at Memorial Park in River Oaks and Discovery Green Park downtown. While you’re downtown, see the Houston premiere of a new play in the Theater District, which has one of the highest numbers of theater seats per capita in the United States. These seats are in high demand, though, so get your tickets as soon as you set the dates for your vacation package in Houston, TX. A full calendar of festivals and events are perks of Houston's larger-than-life presence…and many events are free to join. If you want to plan a cheap vacation in Houston, keep these city celebrations in mind. Getting away at the end of February or the beginning of March? Bring your appetite for the World's Championship Bar-B-Que Contest. While it's not the only barbecue fest in the Houston annual calendar, it is one of the largest, spanning three days. Prefer spanakopita over a slab of pork? Join the international revelry of The Original Greek Festival in May and October. With warm weather and plenty of space for visitors, Houston is a year-round vacation destination with both sass and class. Save time and money for new experiences when you mix and match flights and hotels in Travelocity’s vacation packages in Houston. 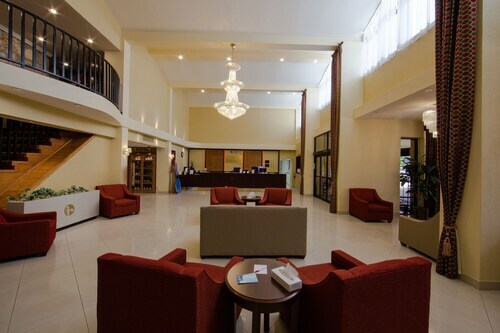 Located in The Galleria, this hotel is 0.3 mi (0.5 km) from Uptown Plaza and within 3 mi (5 km) of Greenway Plaza and Lakewood Church. Memorial Park is 2.5 mi (4.1 km) away. 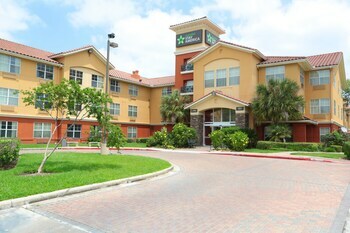 Club Quarters Hotel in Houston is a full-service hotel designed for business travelers, in downtown Houston. 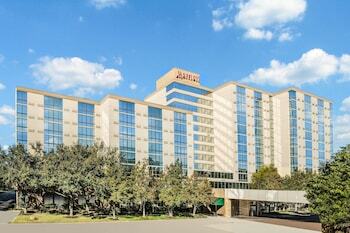 A short walk from the Houston Pavilions, the Theater District, nightlife, and museums. The new sports arenas, convention center, and shops at Houston Center also are nearby, as are underground tunnels and light rail. 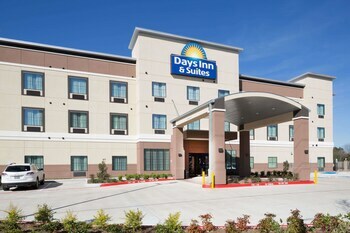 Located in The Galleria, this hotel is 0.1 mi (0.1 km) from Westheimer Rd and within 3 mi (5 km) of Greenway Plaza and Lakewood Church. The Galleria and Richmond Avenue are also within 10 minutes. Located in Downtown Houston, this romantic hotel is within 1 mi (2 km) of Houston Public Library, Downtown Aquarium, and Toyota Center. Discovery Green and Houston Museum District are also within 1 mi (2 km). Downtown Transit Center Station is 7 minutes by foot and Bell Station is 8 minutes. 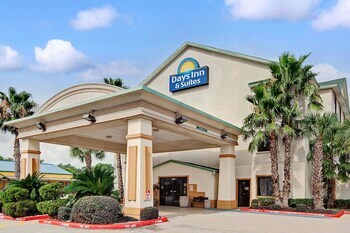 Situated in Houston, this hotel is 2.1 mi (3.3 km) from Westwood Golf Club and within 6 mi (10 km) of Sugar Land Town Square and Houston Baptist University. 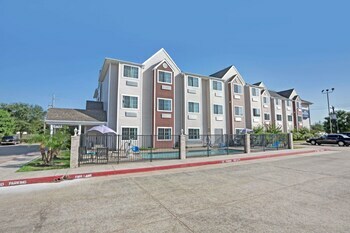 Harwin Drive Shopping District and Sharpstown Shopping Center are also within 6 mi (10 km). 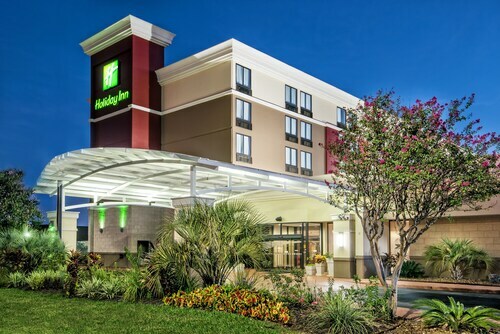 Located in the heart of Houston, this hotel is within a 10-minute walk of Texas Children's Hospital and Houston Methodist Hospital. Houston Museum District and Rice University are also within 1 mi (2 km). TMC Transit Center Station is 8 minutes by foot and Dryden - TMC Station is 8 minutes.